Making DIY homemade lip balm at home is super easy and fun! In this recipe, I’ve used organic coconut oil, beeswax, castor oil and peppermint essential oil. You can follow the step by step tutorial below; it should only take 10 minutes! You can buy plastic lip balm containers on mountain rose herbs or amazon.com. If you live in canada, go to amazon.ca; you will avoid hefty customs fees that way! Step 1 Gather all the ingredients and add the beeswax, castor oil and coconut oil in a double boiler on low heat. You will need 6 to 8 lip balm containers for this recipe. If you do not have a double boiler, you can use an aluminum boil placed in a pan filled with warm water. Step 2 Once all the ingredients are melted, add the essential oil if desired and mix well. Step 3 Pour the liquid wax in the lip balm containers and fill them to the top. If it has already starting to harden, don’t panic! Put it back into the double boiler for a few seconds until it melts again and pour the rest in the lip balm containers. Step 4 Wait one hour or two until the wax starts to harden then you can use the lip balm right away! If it is a hot day, you can pop the lip balm containers in the fridge so the lip balms harden more quickly. 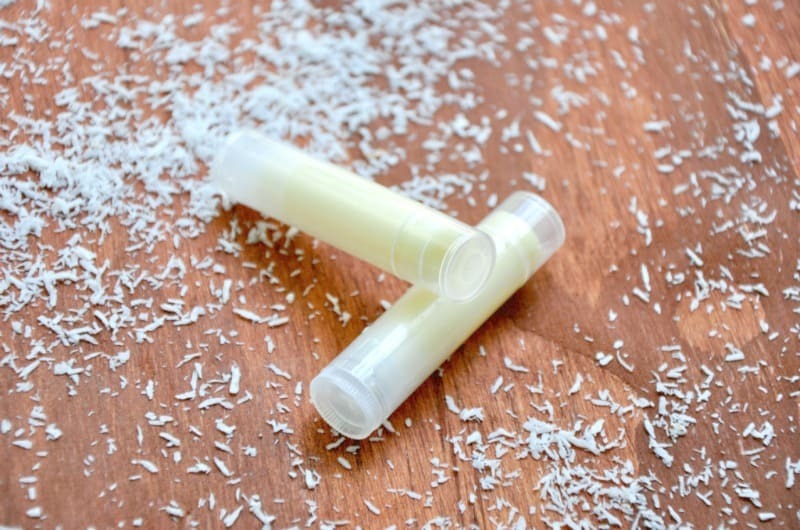 Voilà, you have made your own coconut oil lip balm recipe right in your kitchen, how fun and easy was that?! Yield: 6 to 8 lips balm containers. 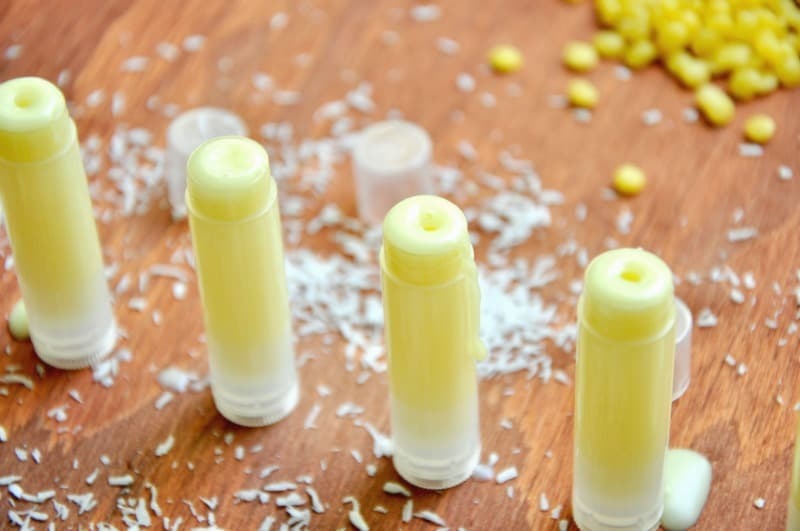 Easy, chemical free lip balm that can be made in under ten minutes! Gather all the ingredients and add the beeswax, castor oil and coconut oil in a double boiler on low heat. If you do not have a double boiler, you can use an aluminum boil placed in a pan filled with warm water. 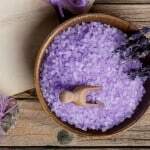 Once all the ingredients are melted, add the essential oil if desired and mix well. 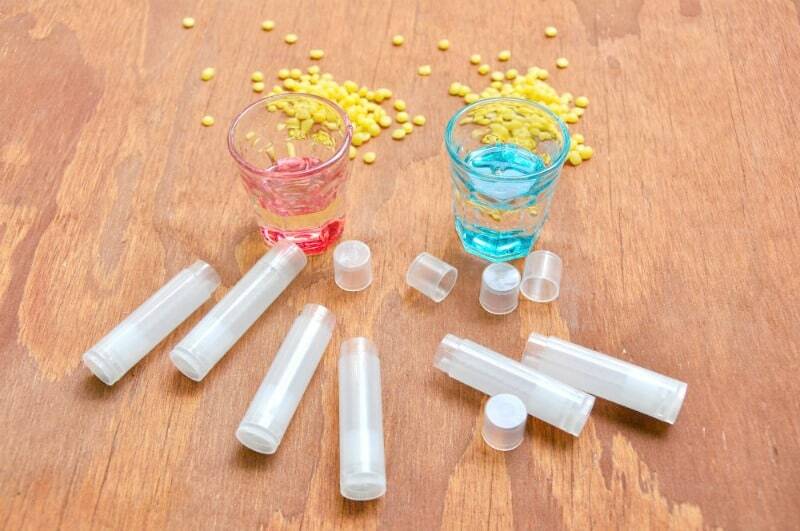 Pour the liquid wax in the lip balm containers and fill them to the top. If it has already starting to harden, don’t panic! Put it back into the double boiler for a few seconds until it melts again and pour the rest in the lip balm containers. Wait one hour or two until the wax starts to harden then you can use the lip balm right away! If it is a hot day, you can pop the lip balm containers in the fridge so the lip balms harden more quickly. Like this post? 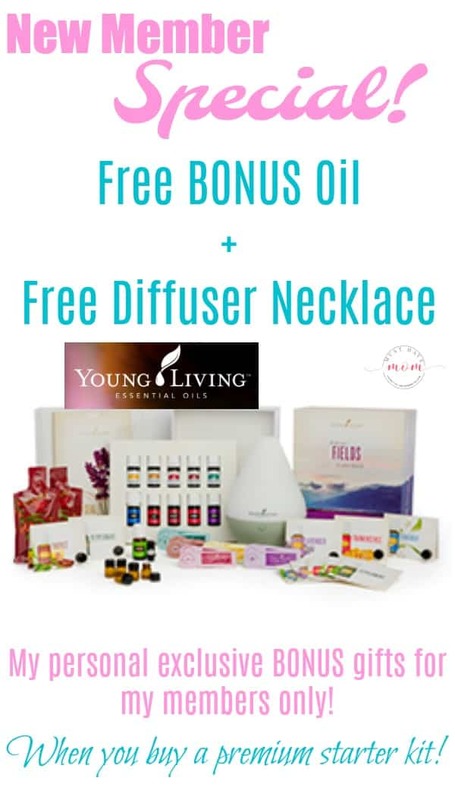 Pin the image below or share to Facebook for easy finding later! 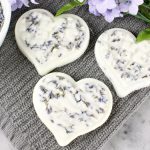 DIY Coconut Oil Lotion Bars – Great For Homemade Gifts! We make many of our own products, but have never tried to make our own lip balm. 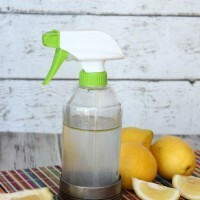 I never knew it was so easy to make!! 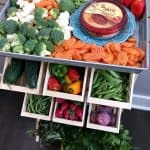 That is the thing about making your own products, it is so much easier to make most of them then you could ever imagine!! Sharing with my followers!! Thanks for sharing on Inspire Me Monday. Have a wonderful week! That is true, and as a huge bonus, you know exactly what is in it.